I thought so too. I just bought a yard of each over at Fabric Supplies at Etsy. I also bought another pattern, but for a skirt this time. It looks easy to make and with all the wonderful fabric I couldn't help myself. Now, what to make, what to make? Any thoughts people? Oh I love the fabric you picked! I'm not too crafty when it comes to fabric so I'm gonna go with The Cookie Girl and say a reversible drawstring bag. That would be darling! Or you can just make me a fantastic apron and call it good! Those are beautiful! Maybe I need to look on Etsy since I don't have a fabric store anymore. Etsy always has the best fabric. You could make anything out of that fabric and it would be lovely. I can't wait to see what you make! 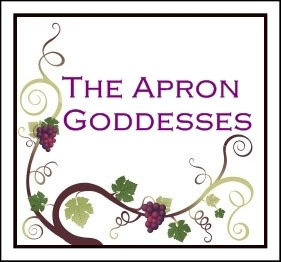 I'm dropping by from The April Goddess' blog. LOVE those prints....You can do soo much with them! Got any idea's what your going to do with them? Adding you to my blogroll too. Thanks so much for telling me about the cookie girl blog! It gave me tons of sweet ideas for the weekend. Unfortunatly, it seems i'm on the Immigration Nautghy List. Only time will tell what I could have done to get on the list and what i'll need to do to come off it :) Thanks for your support! I can't wait to see what you make of that pretty fabric! Make something pink! I don't know how you're going to pull it off with what you have here, but I'm sure you'll think of something! Thanks for visiting my site the other day when I was featured on SITS! I love the fabric! Let's see, pillows, comforter covers, curtains, table topper cover. The list is endless. Let us know what you decide. Oooo... LOVE it! I want some! I'll have to go over there and check it out. I think you should make the ruffled apron I made on my blog. 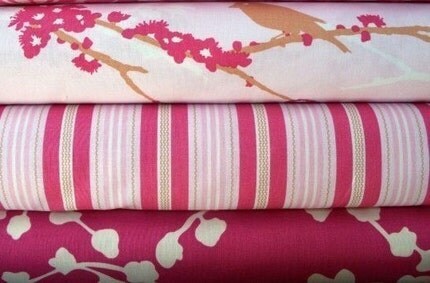 It would be adorable in this fabric and you only need 1/3 a yard of each fabric and you'll still have some left over! Too cute! I want some. I was just thinking today I need to do some sewing for my 2-year old, only the fabric store is on the other side of town. Guess I don't have that excuse anymore. Thanks for sharing! Oh, that fabric is gorgeous. What will it turn into when you're done with it? 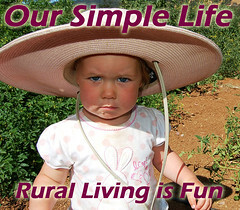 I like your site, pretty things, yummy recipes, great photos, cute kids and crack-me-up funnies! I especially love your last two Wordless Wednesdays! I actually just stopped by to introduce myself as a brand new SITSa and invite you over to “Two Under Two. Whew!” for my super-fun-and-little-bit-silly giveaways, one of which is tied to our fellow SITSa, BlogBaby! You could win a collection from Tiny Two’s Baby Animals line, or some chocolate covered pretzels! See you around the blogosphere friend!